A classic look is offered to meet the sleep and relaxation needs of your household with the Adalie Collection. 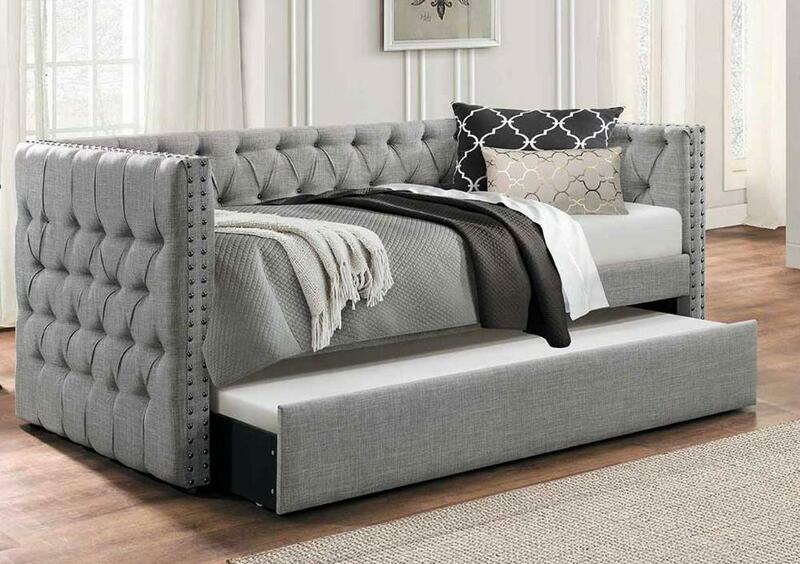 The profile of the daybed is defined by double nailhead accenting while the interior and exterior panels feature button tufting that lends to the modern traditional styling of the group. The accompanying the under-bed trundle pulls out to accommodate your additional sleep space needs. FEATURES: Grey Finish ~ Traditional / Classic Style ~ 100% Polyester Fabric Cover ~ Button Tufting / Nail head Accents ~ Includes Trundle Unit.